I had a stack of magazines just piling up in my apartment. I finally went through them all this weekend! It was nice to relax on the couch with my coffee while Olivia was napping and flip through all my favorites – Real Simple, Martha Stewart Living, Better Homes and Gardens, All You. I had about three issues of each to read. For years I would keep magazines just piled up sky high because there was something I really liked in each one. An inspiration. An idea. A really great article. Now I have a system in place that helps me organize all the things I love in magazines, without becoming surrounded by piles as tall as our ceiling. 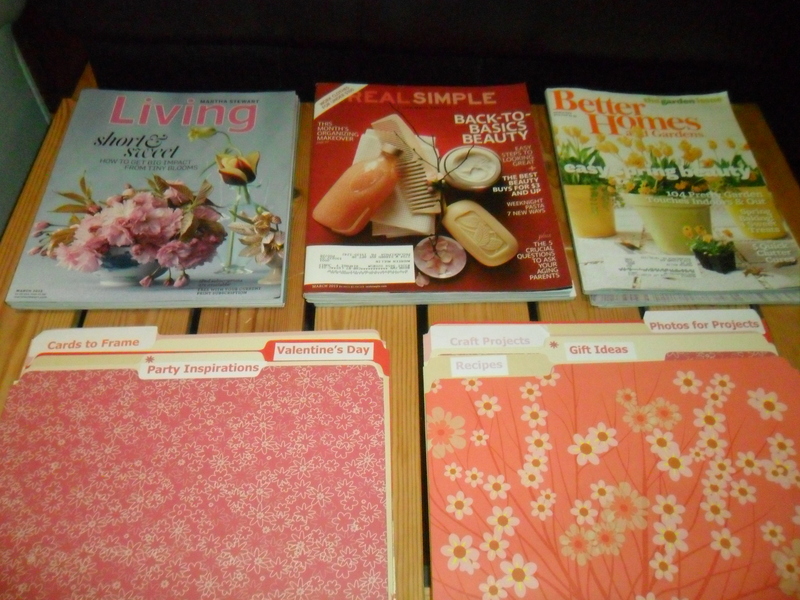 Here are my stacks of magazines, plus the folders that will eventually hold all the clippings. 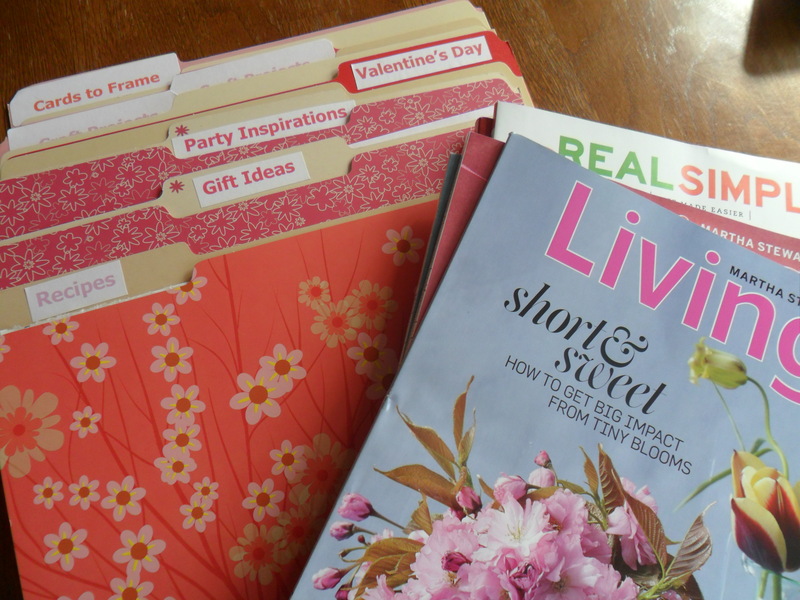 Categories I use when cutting things out of magazines are: Recipes, Gift Ideas, Party Inspirations, Craft Projects (I have two of these – they get filled up pretty quickly! ), and whatever Holiday is being covered in the magazines – so for these issues it was Valentine’s Day. 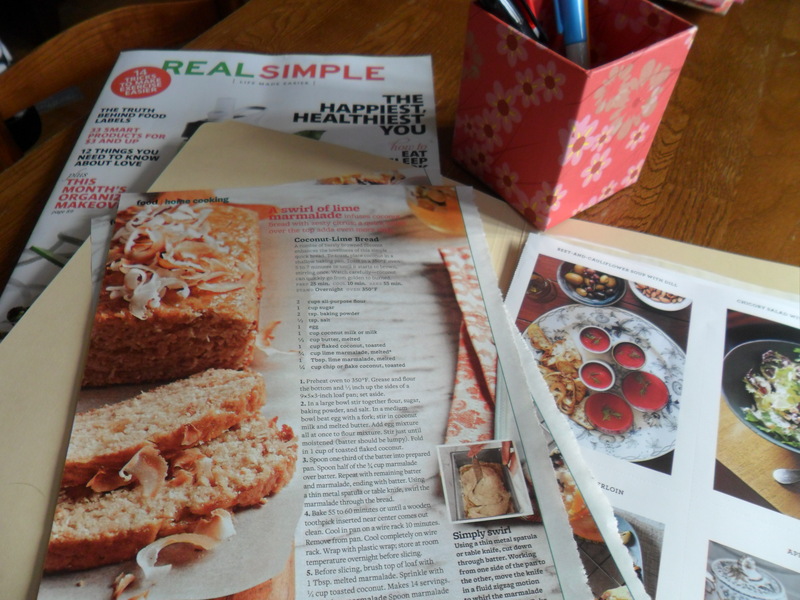 In both Living by Martha Stewart and Real Simple, each issue has recipe cards. I always pull them out and put them in my recipe folder. Later I may weed through them and discard one that I may never make. Sometime I laminate them and give them as a gift with one of the ingredients. It’s a great holiday or hostess gift. Recipes I want to try stay in the folder until I figure out where they will be permanently cataloged. In a cookbook, a specific holiday binder, etc. Party Inspirations may migrate to a specific party folder one day. 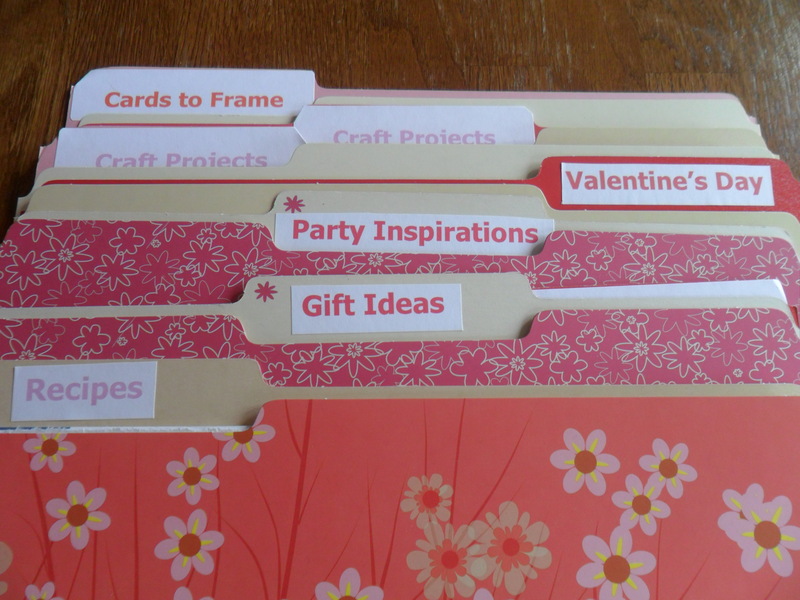 Craft Projects include clipping about projects I want to try one day and also materials for upcoming projects. 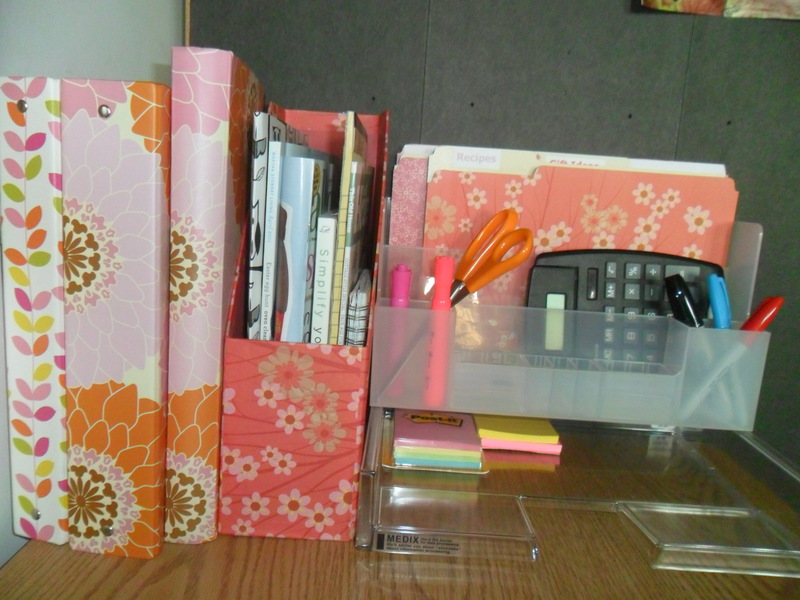 I keep the folders in a clear plastic desk organizer from The Container Store. It felt good to go through all of the magazines that had been piling up! I can now recycle them. I always drop them off to my hair stylist. Do you read paper magazines still? Or have you moved to all digital and pin to Pinterest? I do that, too. I get some subscriptions to my I-Pad now, but I still love getting paper magazines in the mail. I can’t help it! 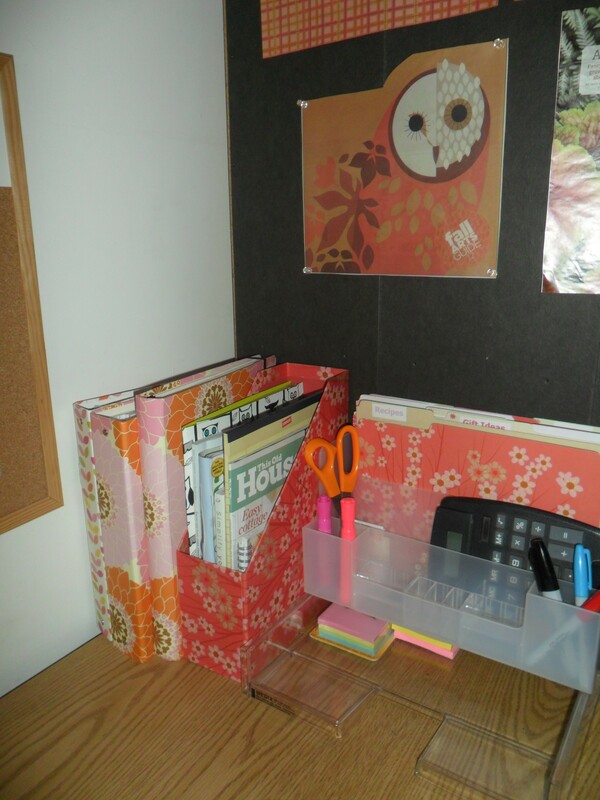 How do you organize ideas and inspirations you get from magazines? I’d love to hear about your systems! Thank you for stopping by and reading. Have a great day! I know – I should go all digital — but I can’t abandon the paper magazines completely yet! It’s like reading a book – I’m not into the kindle — I want to hold a book! 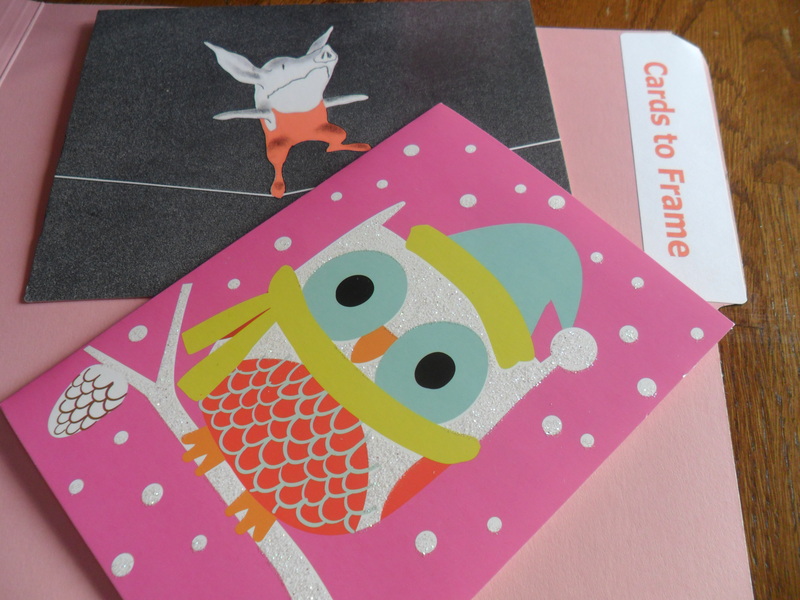 I totally agree about holiday magazines – I look forward to them being in my mailbox!